While many consumers turn to vitamins to add a boost to their health regimen, one recent study warns of the dangers of consuming too much vitamin D.
Health experts recount the story of a 54-year-old man who started a rather aggressive round of vitamin D over the course of two years, ultimately leaving him with kidney failure. 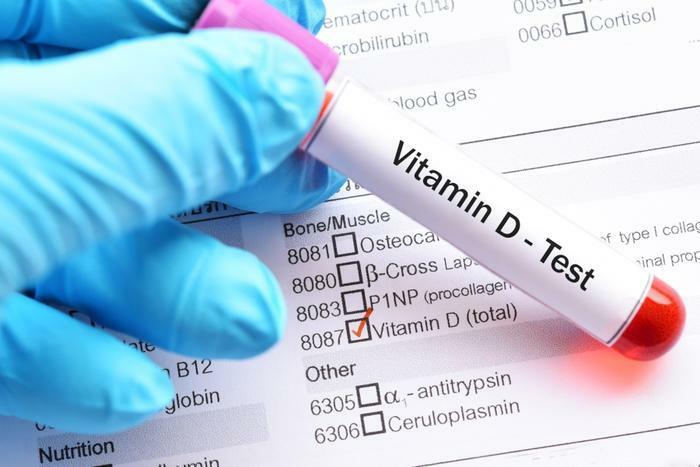 “Although vitamin D toxicity is rare owing to a large therapeutic range, its widespread availability in various over-the-counter formulations may pose a substantial risk to uninformed patients,” said Dr. Borne Auguste. It isn’t common for many consumers to think of vitamins as posing a danger to overall health, as they are marketed as being beneficial in virtually every sense. However, this study revealed that that may not always be the case. The researchers focused on the case of a 54-year-old man who returned from a two-year stint in Southeast Asia with kidney failure. He came into the hospital with alarmingly high creatinine levels -- a telltale sign of kidney damage. Prior to his trip, the patient was in seemingly good health, with no past issues that would require an increase in vitamin D consumption. However, a naturopath prescribed him a vitamin D treatment that involved eight to 12 drops of the vitamin every day. For comparison, health experts recommend consumers take no more than 400-1,000 IU of vitamin D per day, or double that benchmark for those who are older or suffer with bone-related issues. The patient in question was consuming 8,000 - 12,000 IU of vitamin D every day for over two years. In addition to the supplements, the patient spent a good amount of time in the sun during the entirety of his trip abroad, adding to his vitamin D exposure. The excess of vitamin D caused his kidneys to fail due to an increased amount of calcium in the blood. The researchers explained that there are several ways to help reduce vitamin D toxicity, including having all medications carefully reviewed and focusing on reducing the supplement from the patient’s diet. There are also several medications doctors can prescribe to help cut back on the amount of calcium in the blood. The researchers hope that this study shines a light on vitamin D toxicity; the team advises consumers to be cautious about any supplements that they take moving forward. While one recent study focused on the dangers associated with consuming vitamin D in excess, much research has shown how much good the supplement can do when taken responsibly. One study found that a lack of vitamin D during pregnancy can lead to children being born with developmental issues, while another found that many children’s multivitamins aren’t providing enough vitamin D.
Researchers have also found that higher levels of the vitamin can reduce consumers’ risk of colorectal cancer, and also lead to better exercise ability.